Baby Dove Brazil Gives Presents to Moms with Plug-in Created by F.biz: Me adiciona, mamãe! Children’s photos will take up the space of advertising pieces on main portals. Baby Dove brand found an unusual way to celebrate Mothers’ Day, which was on May 8. Women who download the “Ad me, mommy” plug-in will be able to see their child’s photo instead of advertising pieces on the main portals. Created by F.biz, the action will happen during the whole month of May. “Mom, now your child can be on the ad”, say the posts that will be shown to a base of mothers on Facebook and Google. Women who see it can click on the post and download the plug-in. Then, they just have to choose their children’s photos and, when they next access any portal, the child’s images take up the space previously devoted to advertising. The initiative comes as a way of making moms, especially those who work outside the house, do what they wish the most: stay the whole time near their children. “Communication channels and publications must follow the behavior of the public interacting with their platforms. People’s engagement with the brands and digital ads need a new paradigm”, says Guilherme Jahara, F.biz’s CCO. For Eduardo Campanella, marketing director for Baby Dove, “at the same time that it gives moms a present, the action is an innovative way of engaging the brand with relevant content.” The “Ad me, mommy” plug-in is valid for Chrome browser on desktops. Click here to download it. 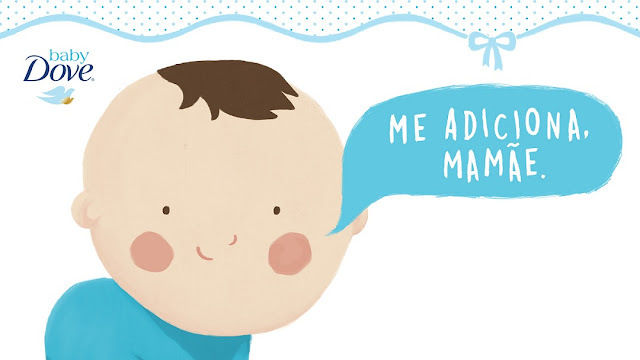 AdStasher: Baby Dove Brazil Gives Presents to Moms with Plug-in Created by F.biz: Me adiciona, mamãe!